The Presidents Council, a consortium of CEOs in affiliation with David N. Deutsch & Company, held its Spring meeting. The Council was pleased to welcome, among others CEO members and guests, the former Chief of Operations for the CIA’s Counter Intelligence Center in Washington D.C. and former head of the CIA’s largest domestic office, where he worked closely with the U.S. private sector. David Deutsch invited to participate in the CED (Committee For Economic Development of The Conference Board) Spring Policy Conference in Washington D.C.
David Deutsch invited to participate in the CED (Committee For Economic Development of The Conference Board) Spring Policy Conference in Washington D.C., a non-partisan, non-profit, business-led public policy organization comprised of leading American companies, CEOs and policy makers that conducts research and analysis in addressing our nation’s most critical issues. David Deutsch featured presenter at Dealmakers Breakfast Series on “Food & Beverage Dealmaking” with Sobe Beverage founder Kevin McGovern; Agro Imports’ Astrid Soto; Firelight Capital’s Pat Collins and First Republic’s Angela Raitzin. 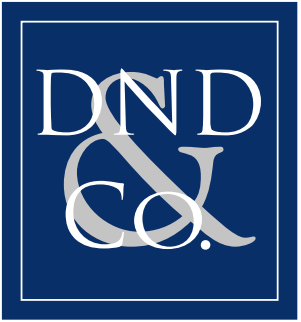 Since 1993, David N. Deutsch & Company has advised numerous leading consumer/retail companies in their growth and exit.